Terror is reborn in the shocking conclusion to the Alien saga! 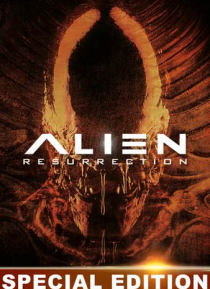 Two hundred years have passed since Ripley (Sigourney Weaver) made the ultimate sacrifice, but a group of scientists has cloned her--along with the Alien queen inside her--hoping to create the ultimate weapon. Now Ripley must team up with a band of smugglers, including a mechanic named Call (Winona Ryder), to combat a new breed of Alie… n!